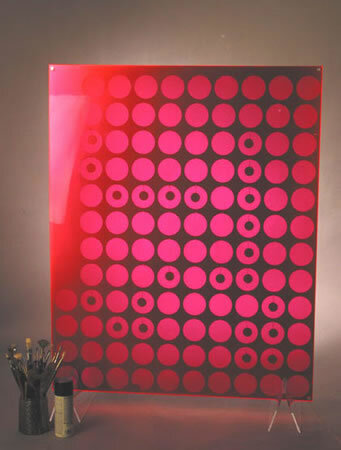 Big Dot is 1/16" steel between two 1/4" sheets of transparent, fluorescent pink acrylic. The edges glow a fantastic shade of pinkish red! Big Dot measures 38 5/8" by 48", and is 9/16" thick.